The teams have already held two matches in Astana on October 23 and 24 last year. In both two games, «Astana» defeated «Tobol» with a score of 80:45 and 78:72. At the moment, the capital club «Astana» occupies the 1st line in the standings, and Kostanay «Tobol» finds itself on the 2nd position. Whether «Tobol» will be able to win «Astana» at home will be revealed on March 20 and 21. «Tobol» — is a Kazakhstan professional men's basketball club from the city of Kostanay. Basketball club «Tobol» was created in 2003 on the initiative of Yevgeniy Alexandrovich Boger, director of Kostanay confectionery factory «Bayan Sulu» at that time, andEmir Akhmedovich Emirov, General Director of Construction Company «Negiz-Akmola». Live broadcast of the match will be available on the main page of our website, starting at 17:00 Astana time. 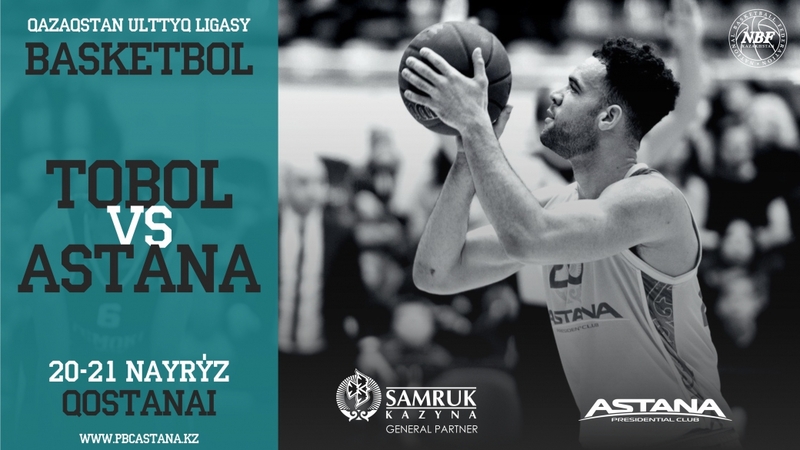 We remind you that on March 25, «Astana» basketball club will hold an away match with «Khimki» basketball club as part of the regular season of the VTB United League.